As banking continues to go through changes and services become more electronic-based, bank branches are slowly falling off the map. Just under 2,600 bank branches have closed in 2014, while a mere 1,137 have opened. SNL Financial reported that 2013 saw a net loss of 1,487 branches while 2014 has seen a loss of 1,462 so far. In total, there are 94,752 branches in the US, leveling out to an overall 1.5% decline. Acquisitions, mergers, e-banking services, regulation and many other factors have contributed to the slow decline of brick and mortar branches. It’s clearly noticeable that Bank of America has seen the highest number of brick and mortar branch closings. In the 3rd quarter alone, the company saw 41 closings. Bank of America is currently the second largest bank determined by deposits. It ranks third for branch numbers in the US. As of June 30, 2014, this number was 5,099. As closures continue to sprout up across the board in virtually all areas of the US, many fear that the impact on neighborhoods and communities will be a significant one. The National Community Reinvestment Coalition stated in a report the “vibrancy of communities” relies heavily on the “critical services” that bank branches provide. The group noted that predatory lenders are just one of the many problems that arise in areas where bank branches close their doors. Others believe that bank branch closings will only see a temporary decline. Banking analysts are confident that things will smooth over once the yield curve begins to expand, and the Federal Reserve regulates interest rate policy. In terms of regional closings, SNL Financial reported that Chicago has seen the largest hit with 125 losses. Washington, D.C., saw the second most amount of closings, ranking in at 39. Illinois, in terms of state closings, saw the largest loss. Ranked behind Illinois were Pennsylvania with 92 losses, Ohio (84), Michigan (75), and New York (70). In fact, only six states reported positive gains in the past year. Nebraska saw the most openings which totaled to nine. While most banking services can be conducted online, there are still some things that community bank branches do which serve a purpose. Regardless of technology and mergers rendering a select few branches useless, the rest will continue to thrive and serve communities. 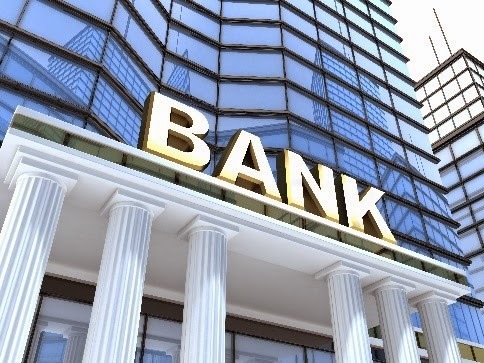 The banking industry has gone through many changes these past few years and continues to do so. Services that banks used to offer have changed significantly and have even been eliminated altogether. With regulators imposing ever stricter rules on credit, businesses are finding it more and more difficult to obtain loans they truly need. Capstone Capital Group, LLC has the answer. Capstone has eliminated the bank red tape by offering small to mid-sized business Single Invoice Factoring (“Spot Factoring”). Businesses can now get the immediate cash they need in exchange for working capital from Capstone Capital Group. For more information on Capstone’s Single Invoice Factoring call us today at (347) 821-3400.